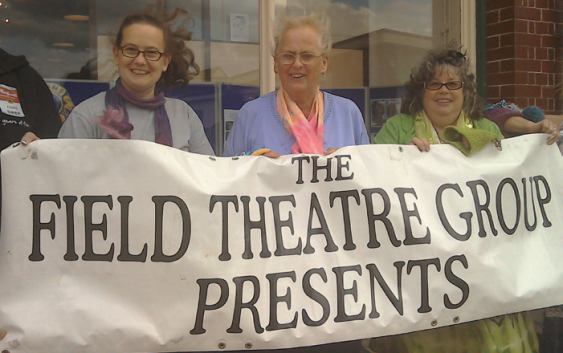 The Field Theatre Group are proud to be bringing another community heritage activity to Littleport early next year. 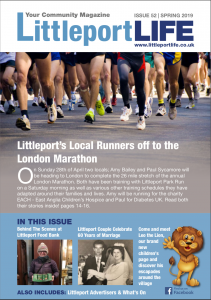 Following the success of our Littleport Riot activities, we are going for a slightly more peaceful project this time! Just bring your buttons, your stories and photographs along to our workshop sessions, where our two professional artists (talented textile creator, Fiona Lidgey-Robinson & professional writer, Deborah Curtis) will be on hand to help you place your buttons in pride of place on our tree. Deborah Curtis will also assist you in recording these stories for others to share. Our workshops are free and open to residents of all ages, but children under 12 must be accompanied by an adult. These are drop-in sessions so there is no need to book. So, whether your interest is in family history, textile and craft, or simply sharing your stories, there will be plenty of shared activities on offer. So why not bring the whole family … Mums, Dads, children, grannies and grandpas …. will all be made welcome. The textile work and the accompanying book will tour to a variety of locations including Ely Museum, before finding a permanent home in the Adams Heritage Centre. The Field Theatre Group project team are keen to ensure maximum participation, and to achieve this we will organise volunteer drivers and helpers to assist less able members of the community to take part. This will include transport to and from sessions where needed, and wheelchair and mobility assistance. The Heritage Centre is accessible by wheelchair and has disabled toilet facilities. This project has been generously funded by the Heritage Lottery Fund (the Field’s 4th such grant).